Irish bio-pharmaceutical company Allergan is betting big on the Botox market in India, looking to more than triple its revenue in the aesthetics business from the current 15 per cent in the next three to five years. The Nasdaq-listed company, which registered its second quarter global revenue of $4.12 billion driven by Botox sales, is eyeing the middle class to boost sales of the Botulinum toxin-based drug in the country. Botox, which celebrates its 30th anniversary this year, is a drug made with neurotoxin that reduces fine lines and wrinkles by paralysing the underlying muscles. “We are eyeing the unexplored 220-million middle-class market, which has good disposable income to boost sales of Botox,” Marc Princen, executive vice president and president of Allergan international business, told Business Standard. While the Botox segment is growing annually at around 20-25 per cent in the country, Allergan India's aesthetics business is growing at 60 per cent. This comprises Botox and Juvéderm collection of fillers, both of which are used to reduce the appearance of lines and wrinkles on the skin. The prices begin from Rs 15,000 and could go up to a few lakhs, depending on the treatment. To further increase the growth of Botox, the company opened its first India training facility in Bengaluru on Tuesday named Allergan Training Institute. 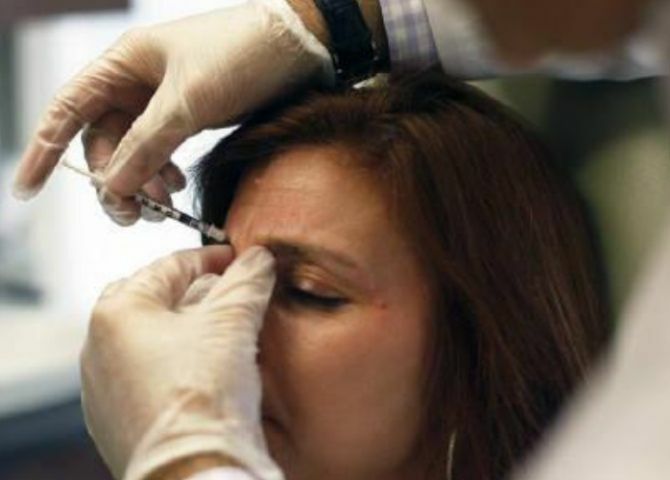 Sridhar Ranganathan, the managing director of Allergan India and South Asia, said the centre will train medical professionals to master the usage of Botox. The company will be investing $300,000 in medical aesthetics training. Predominantly an eye care company, Allergan India is currently the market leader in the segment, holding about 20 per cent of the national share. However, it wants its aesthetics business to become as big as the ophthalmology in five years. Unlike the 35 ophthalmology products, which are manufactured in India at the Pithampur plant in Madhya Pradesh, all aesthetics products are imported to India. While Allergan manufactures Botox at its facility in Ireland, the Juvéderm filler line is made in France. To meet the growing demand of Botox, the company has started work on its second manufacturing facility in Ireland, which will become operational in the next five years. “The total beauty market is $600 billion globally and the aesthetics business is only $20 billion. This is a huge range. "We want to capture a much bigger market share,” said Princen. He said the cosmetic utility of Botox came into light only in the past 10 years, while originally it was helping treat abnormal heart beat and migraine. It is said to decrease the frequency of chronic migraine days by an average of 50 per cent. Worldwide, about 60 per cent sales of Botox is for these indications, Princen said, adding the firm was working to educate people about these medical indications in India.